Wells Trio is a combination of three very experienced professionals. 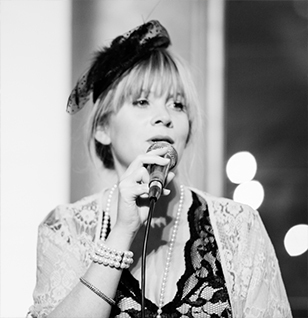 Singer Sara Oschlag is one of our main artists, featuring in several of our most popular acts. Jazz pianist Tim Wells has joined Sara on many performances, and hired her in his own projects. 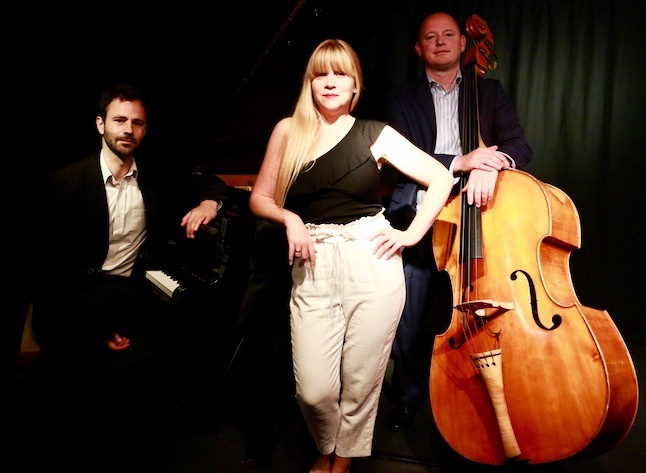 They've both worked extensively with Dan Sheppard on double bass, so this trio has a deep rapport. This is jazz pianist Tim Wells’ latest trio. It’s a meeting of three like-minded musicians who like to study the classic jazz standards songbook. Vocalist Sara’s main inspirations shine through, showing off elements of Ela Fitzgerald, Sarah Vaughan, Blossom Dearie and Shirley Horn. Tim ably accompanies this with influences including Scott Joplin, Nat King Cole and Oscar Peterson. 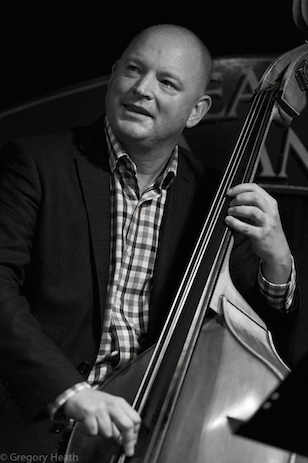 Double bassist Dan Sheppard lays down the foundations with a Ray Brown-esque groove, and the three of them can swing like the clappers, or give a ballad its due breathing-space. The trio will always be happy to play with a proper piano, but we realise that is a rare treat. Accordingly, Tim has his alternative electric set up ready to deploy. Sara’s voice goes wherever she does, and she has her own PA equipment. Dan is inseparable from his bass, and can play amplified or acoustically. Happily all the gear can fit in one car, which keeps logistical costs down. This translates into savings for the customer. If you have an idea to expand on the trio, feel free to ask. Some additional options include: drums, guitar, trumpet, sax, violin – even if you fear your idea might be outlandish, don’t worry – we can find pretty much anything! Between them these three have played all around the world in various formats. Dan and Sara have worked on cruise ships and in the USA, and all three have given countless weddings their laid-back ambience. To name-check just a few venues and customers: Ronnie Scott’s; The Club at The Ivy; RAC Club; Army & Navy Club; Lincoln’s Inn; Somerset House and many more.